Our goal is to enlarge, enrich, and enhance the kingdom of God through Christian salvation tracts and to help you do the same. Salvation through Jesus is our greatest gift. By means of tracts, we offer it freely to all with whom we come in contact. In addition, we provide them to churches, missionaries, and evangelists for mission programs both at home and abroad. The Lord has blessed us with pastors and heads of ministries who help us with international outreach. At home we have assisted other churches, ministries, and individuals in reaching out to community agencies, prisons, nursing homes, and children's programs. Praise God, we are seeing glorious, good fruit! In addition, we provide them to churches, missionaries, and evangelists for mission programs both at home and abroad. We are blessed to be The Lord has blessed us with pastors and heads of ministries who help us with international outreach. At home we have assisted other churches, ministries, and individuals in reaching out to community agencies, prisons, nursing homes, and children's programs. It is an honor and glory to spread the Good News of the gospel both near and far. 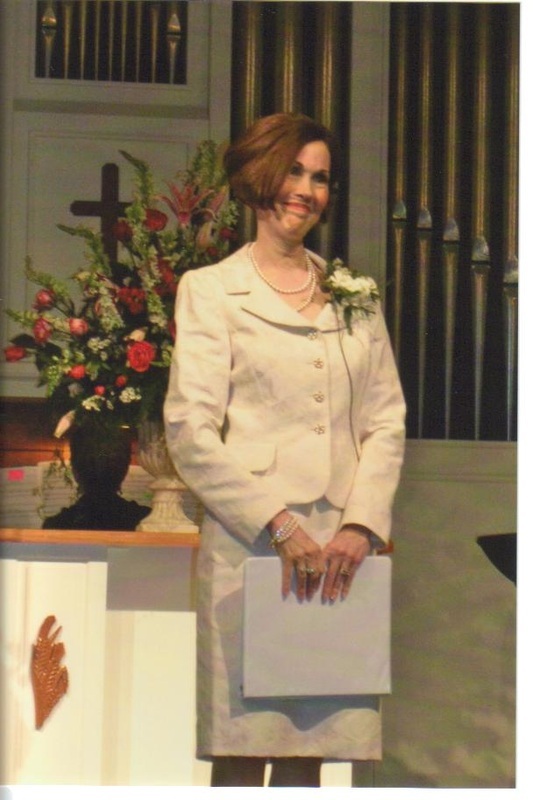 Sally Glenn is an ordained minister from Greensboro, North Carolina. She is a Christian author and conference speaker with the gifts of prophecy and the word of knowledge. A profound teacher of the Word of God, she ministers God's power whether in services, seminars, meetings, or in writing. Sally holds a Bachelor of Arts dgree in Psychology from Converse College and a Master's degree in Education from the University of North Carolina at Chapel Hill. She is a former teacher and guidance counselor and is the author of four books, The Anointing of Joy, The Anointing of Peace, Sitting at the Feet of Jesus, and Here Comes the Bride. Bob Glenn, born in Monterrey, California, is an also an ordained minister, who married Sally in 1969 after they met at UNC Chapel Hill. Together they have two beautiful daughters, Elizabeth and Katherine, two wonderful sons-in-law, Andrew and Miguel, and one grandson, Elijah, and one granddaughter, Chloe. Daughter Katherine, pictured on the right with Bob has worked for Saved By Grace for six years and serves as our website designer and office manager. Katherine went to the UNC Greensboro and Virginia Commonwealth University. She also helps design and print our tracts and assists with our international ministry partner outreaches. a stranger...it can go anywhere and preach the good news to everyone! Please join us in spreading the glorious, good news of the Gospel. might be saved” (1 John 4:9). Jesus came, took on our sin, and died in our place so that we might have His life. Lord Jesus, I believe you took on my sin and died for me. I trust you now as my Savior and Lord. Thank you for saving me and giving me your life. In your Name, I pray. Amen.